I am learning. The more stories that I write about Governor Sarah Palin, the higher my hit count. Originally I had thought that people would tire of them, but it has not happened yet. I have been around conservative politics long enough to see the good and the bad in the Republican party. Two quotes in particular caught my attention this week. Both were about Sarah Palin and both were made by John McCain. "Listen, I love and respect Sarah Palin," the 2008 Republican presidential candidate said, speaking softly in an interview Friday with reporters and editors at The Washington Times. "I love her family. I am convinced that her running on the ticket energized the Republican Party in a way that, let's have some straight talk, that I couldn't or didn't." "Over 50 million people voted for me and Sarah Palin - mostly for Sarah Palin," McCain said to an eruption of laughter. As the chairwoman of our local county GOP, I was well aware of the massive uphill battle we were facing going into the 2008 election. To say that the conservative base was depressed, was an understatement. The reality was the choices we had in the GOP primary did not make GOP base happy. As a new county GOP chairwoman, I remember actually feeling sorry for myself. My first election to lead the county party was in a year when the entire base was depressed. As the county party moved through the long summer months, things just went from bad to worse. Trying to get volunteers to help us set up the campaign office was difficult. Sure we had our regular board members that volunteer for everything were doing all the work on their own. By early August, the offices were open and we had a staff member from the McCain campaign set up in our offices. As a county party we had very little money, but we had devised a plan to bring in donations. We had some party loyalists who donated, still things were very tight. We also received some McCain yard signs and were phone banking using cell phones. We knew by early September that RPW would be an immense help both with resources and finances if we could just plod along until then. We did have a few volunteers coming in making calls. We were passing out some yard signs. I was so grateful for the help that we were already getting, but I was still aware of the lack of enthusiasm. I know that I had some county board members that were helping just because I asked them too, not because they were excited. I am lucky to have some dedicated friends and GOP party members. John McCain just did not get the automatic support of the GOP base. I should know, that base is me! August 29th, 2008 Then SHE shows up with all of the smiling and winking and stuff. I went straight to our campaign offices after work and was stunned. The place was packed! This was the very same day that she was picked by John McCain. The very same day she was nominated, we had people demanding yard signs with her name on them. We also had people bringing their McCain signs back in hopes of exchanging it for one with Palin's name on it. This ritual took place for weeks until the McCain/Palin signs came in. Of course, anyone who walked in the door we signed them up and asked them to volunteer. It was not tough, people were throwing themselves at us. It is hard to describe the hundreds and hundreds of people walking in. Previously money had been so tight, but now it flowed like crazy. Yes, I am a fiscal conservative, but I felt that every penny that was donated needed to be thrown back into the campaign somehow. We had it all. From a big screen TV with cable and a lounge area to a giant refrigerator packed with food (and beer too...). Many nights we provided dinners and on the weekends we provided food and drink all day long. Anything we could do make the volunteers as happy as could be, we did. Our poor county party treasurer and the rest of the board showed an incredibly amount of patience with me when it came to spending money. I tried to spend every dime we had including donating the maximum to our local candidates running for office. We actually ended the campaign with some money in the bank that will be used for next year. Days before the election we had hundreds and hundreds of people in our offices volunteering. All 24 phone lines were manned non-stop, dozens and dozens of people were out knocking on doors. We had many more out pounding in yard signs. When we started really tracking the phone calls and door knocks, it was about Sept 20th. We made close to 149,000 phone calls and we knocked on tens of thousands of doors. All of this is about 6 weeks time. All of the people doing this work were brought to us courtesy of Governor Sarah Palin. Sure, McCain had some support also, but 90% of the people that worked their tails off did it for Governor Palin. So when I heard after the election that Sarah Palin was to blame for John McCain losing, I had to laugh. The meme being pushed by the liberals, the main stream media and the elitist Republicans that supported Obama is an absolute joke. Those of us on the ground know better and we have known for months. 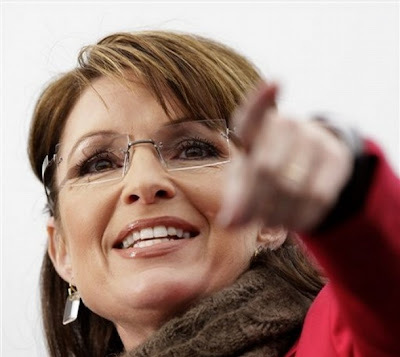 58,000,000 cast their vote for Sarah Palin (and John McCain too). These Americans will not quickly forget what Governor Sarah Palin did for conservative principles in 2008. It is good to see that finally John McCain is admitting what Governor Palin meant to his ticket. More importantly, the fire that Governor Palin has lit into conservatives will not be extinquished as quickly as the liberals and the mainstream media would like. If Governor Palin never runs for office again, she will have accomplished something only Ronald Reagan has been able to do. She reignited the fire of conservatism. It is okay to be a Republican. It is okay to be a conservative. It is okay to once again proudly live by your values. Certainly, as soon as John McCain admitted what the rest of us conservatives have known for months, a new round of attacks were launched this past weekend against Governor Palin. She will survive and so will the rest of us conservatives. Her poll numbers are still strong. The attacks against the Governor just are not working, no matter how hard the liberals attempt to diminish her. The demand for her remains high in the lower 48. Barack Obama: Modern day Robin Hood? Is President Obama getting embarrassed? President Obama stretching the facts? How does Geithner survive this? Great news! Obama's basketball picks are done! The attack on Rush did not work, next up? My liberal friends were right. Obama's first 50 days- How much is he spending?